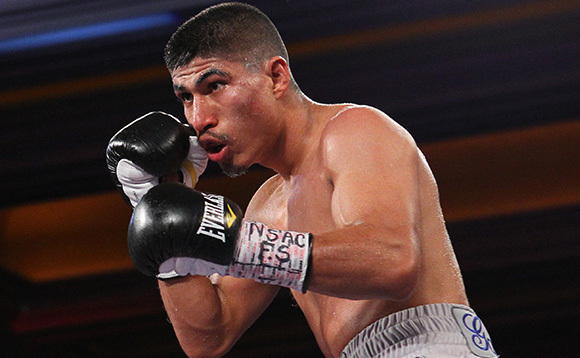 The highly anticipated showdown between undefeated three-division world champion Mikey Garcia and IBF 140-pound champion Sergey Lipinets has been rescheduled for Saturday, March 10th. The Premier Boxing Champions event was set to take place on February 10th, but Garcia’s quest for a fourth world title had to be rescheduled following a training injury to Lipinets’ hand. The fight will be live on SHOWTIME and will remain in San Antonio but move to the Freeman Coliseum. Ticket information will be released early next week. Those holding tickets for the original date at the Alamodome will receive priority on seat exchange for the new venue. Tickets are priced at $250, $150, $75, $50 and $20 and will be available at Ticketmaster.com or by calling 210 556-6390. The event is promoted by Ringstar Sports and TGB Promotions, in association with Leija-Battah Promotions. The remainder of the card will remain the same including the SHOWTIME CHAMPIONSHIP BOXING co-feature, which will see two-division world champion Rances Barthelemy taking on Kiryl Relikh in a rematch of their thrilling fight last May, this time for the vacant WBA 140-pound world title. The doubleheader of title bouts in the wide-open 140-pound division sets the stage for a potential unification match. The 28-year-old moved up the 140-pound rankings with victories over then unbeaten Haskell Rhodes, Levan Ghvamichava and Walter Castillo before knocking out Leonardo Zappavigna in a world title eliminator last December. Lipinets will look to stamp his place as an elite fighter when he takes on the accomplished and dangerous Garcia on March 10.